3M Futuro Stabilizer knee brace with doughnut,Brace is used to provide support to the weak and muscles above and below the knee. Also used to provide relief from sprains and inflammation. 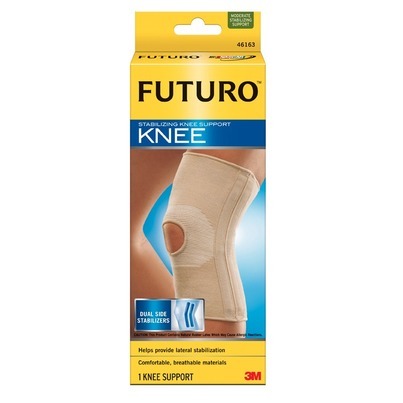 3M Futuro Knee Patella Brace is used to provide support to the weak and muscles above and below the knee. Also used to provide relief from sprains and inflammation.